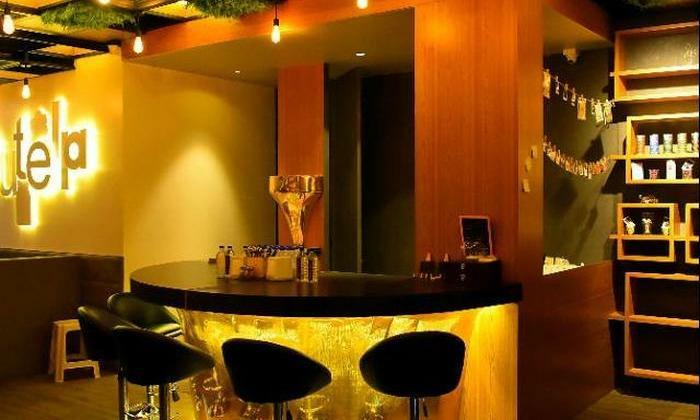 Glamoured walls, cushiony couches, wooden tables, comfortable chairs, blingy lights and colored ceiling - a very chic and contemporary decor, right? Experience all this at Social Knights, a quaint cafe located in Navrangpura, Ahmedabad. If Nutella and anything to do with chocolate is your thing, Social Knights serves a range of pancakes, waffles desserts and shakes as well to cater to all of your cravings and thirst. Offering a mix of quick bites, Social Knights serves fresh, cooked-to-order dishes all day. If bored of just eating, you could play one of the many board games and challenge one another. With all this in mind, head to Social Knights, a place where you shed your work hassles, tiresome assignments and studies and reignite your taste buds with mouth watering delicacies.